You can save money by converting your vehicle to Autogas. Cost of fuel - The forecourt price of Autogas is approximately half that of petrol and diesel. Whilst the miles per gallon when running on LPG is usually around 20% less than petrol, significant cost savings can be made - to see how much you can save go to our 'Savings Calculator'. The price of LPG at the pumps benefits from lower fuel duty than petrol or diesel. In the October 2018 Budget Statement the Government extended its guarantee on fuel duty to 2032. Thus for this period the fuel duty differential between LPG and petrol / diesel will be maintained at its current level meaning that the price of LPG at the pumps is around half that of petrol and diesel. LPG motorists therefore benefit by around 40% fuel cost savings compared with petrol and around 15% compared with an equivalent diesel. Road Tax / Vehicle Excise Duty - Some Autogas vehicles are eligible for the Alternative Fuel car reduced rate. 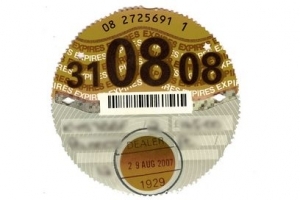 Find out if your vehicle is eligible by visiting the DVLA web site by clicking here. To register your vehicle at the DVLA as an Alternative Fuel Car you will need to submit to the DVLA an original Registration Receipt on the headed notepaper of the installer. Discounts on parking schemes - if you drive a LPG fuelled vehicle some local authorities offer a discount on resident and business parking permits, visit your local authority web site to find out more.